At Abalina Cottages we take pride in offering boutique accommodation at an affordable price. There is no better place for luxury and convenient 2 min walk to Brights township. 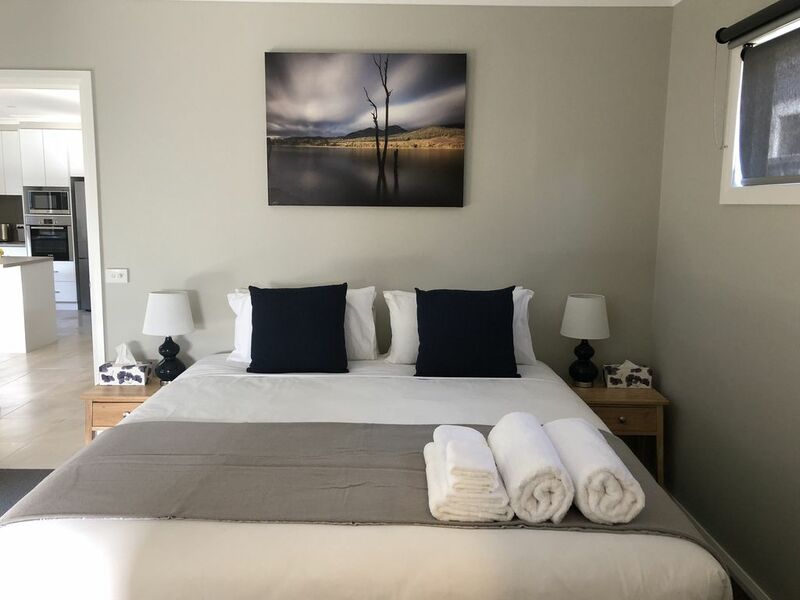 Our brand new spacious self-contained cottage, with a full modern kitchen, a luxurious wood fire, free wi-fi, bathroom floor heat, spa bath, and sleeps up to 6 guests with 3 bedrooms and 2 bathrooms. Our cottages are spacious enough to suit the family but with an intimate feel for a romantic couples getaway. Its the extras that set Abalina Cottages apart. We want you to always feel at home so each cottage is equipped with creature comforts that add that special touch. From the wifi, floorheat, woodfire, bathrobes, dvds, books and games to the kitchen stocked with often forgotten day to day essentials, you will want for nothing on your stay. We became the proud owners of the abalina cottages business on 26th March 2014. After running another successful luxury accommodation business in Bright for 8 years we decided we would like to progress from business managers to business owners. Our newest addition abalina on Cherry opened on the 19th of April 2018 now offering luxury and comfort for up 34 guests. They gave exceptional service, we couldn't stay at the place we originally booked because of an issue with a previous client so not only did they find a another good place but left a bottle of red wine and gave us a voucher for another visit. The place we stayed in was really clean, well setup and and served us very well. It was within walking distance of the town, so well situated. There was ample information on things to do and their recommendations were spot on. Unfortunately for them, we will be using that voucher as we loved Bright and will stay for a longer period of time. Love love loved it! Brand new cottage with all the amenities and easy stroll into town. Would recommend to others and return for another stay.